Since our establishment in 1956, we have expanded the magnetic head business and advanced into new fields by devoting ourselves to the development of proprietary applied and production technologies on a core of magnetic engineering. To cope with drastic changes in the future era, we will not merely extend conventional ideas as a sensor manufacturer but rather will continue to "innovate" strategic ideas and "take on new challenges". As a part of that, we are treating the next three years as a "period for laying the foundations for future development", during which we will accelerate the search for new technologies we can rely on in the future. Specifically, we will produce high-quality products such as "torque sensors", "force sensors" and "multiaxial force sensors" that play an important role in dynamic stress measurement, as well as "embedded sensor units", and coordinate technologies for delivering "tough user-friendly" products to customers. SAN-E TEC pursues these tasks as its mission every day. As we steer the magnetic head business into the future, we will continue proposing ideas that will make us an "excellent company" in the customer’s eye. Your continuing understanding and support would be greatly appreciated. Hideo Hirotsu started as proprietor. Began the manufacture and sales of recording heads for tape recorders. Incorporated due to business expansion and established Zenkaku Electric Co., Ltd. with a capital of 500,000 yen. 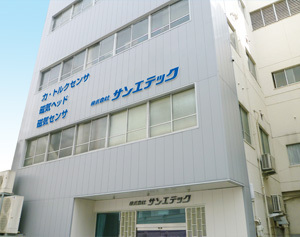 Changed the company name to San-E Electric Co., Ltd. Increased the capital to 1 million yen. Succeeded in mass-production of magnetic heads for car stereos. Started the manufacture and sales of cassette auto-reverse heads. Increased the capital to 3 million yen. Increased the capital to 4 million yen. Increased the capital to 8 million yen. Moved to current location, following the completion of a new head office building. Increased the capital to 16 million yen. Started full-scale mass-production and sales of various laborsaving magnetic heads such as those for automatic ticket gates, automatic ticket vending machines and coin changers. Increased the capital to 20.8 million yen. Increased the capital to 31.2 million yen. Increased the capital to 40.56 million yen. Increased the capital to 52.725 million yen. Changed the company name to SAN-E TEC Co., Ltd. Increased the capital to 67.76 million yen. Increased the capital to 83.6 million yen. 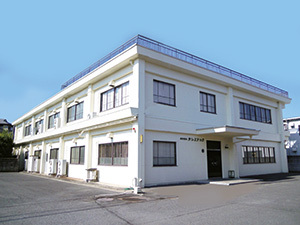 Completed construction of the Nara Factory. Started manufacture and sales of space sensors. Started manufacture and sales of torque sensors. Won the Osaka Monozukuri Excellent Company Award. Started manufacture and sales of load sensors. Acquired "CE Marking" compliance for the Magnetostrictive Rotating Torque Sensor MTS Series. Started manufacture and sales of load Washers. Started manufacture and sales of 6-axis Force Sensors. The text and images published in this site are prohibited to reprint information in this quote.